with folks who share your interests. Sam Loyd's "Trick Donkeys" puzzle card was one of his most famous creations. Coincidence? On the corner of Market and Liberty Streets in Lynn MA stands a proud brick building with a large "1880" carved into its cornice. It is advertised as Masonic Hall and it appears the first floor and maybe the basement are used as retail space. The New England Clothing Company might have been the first retail tenant in this building. 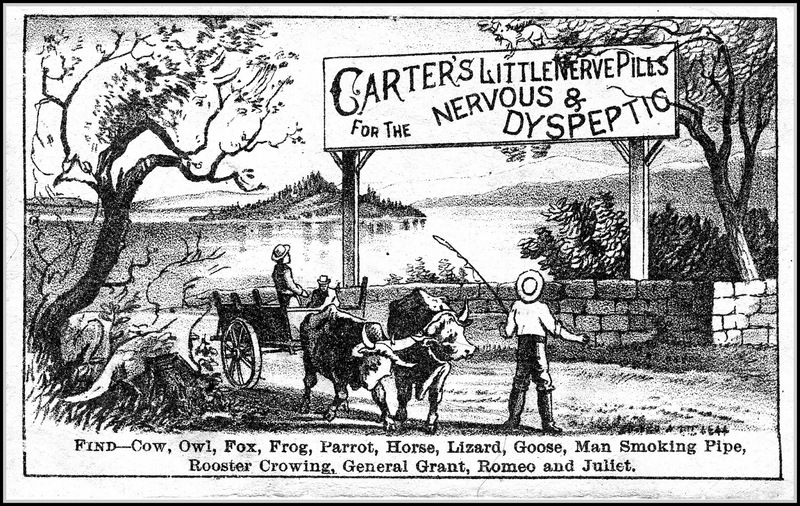 A puzzle card that could induce both nervousness and dyspepsia! S. Booth & Son operated out of Waterbury, CT as well as Thomaston. 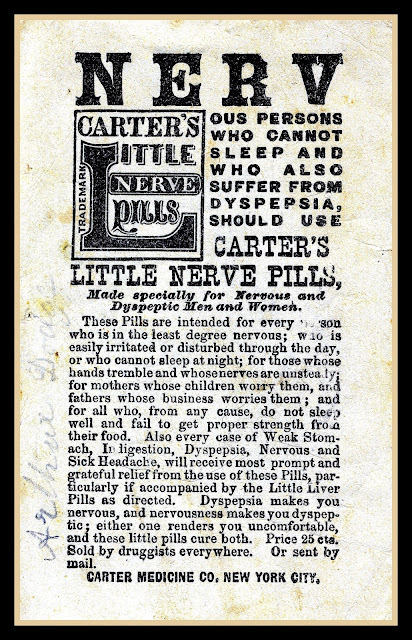 In the ad from Google Books below, Renne's cautioned that their oil did not set broken bones, though as you can see, it seemed to cure anything else anyone could imagine. As indicated in this court settlement(from Google Books), the "Magic" in this oil was likely alcohol. While having almost no medicinal effect, it most likely was a placebo that inspired optimism about life in general! Nonetheless, William Renne made a fortune selling this stuff. Pittsfield named a street after him. According to Wikipedia cubeb is a tropical pepper. There are various claims made for its medicinal properties. Wikipedia says, "Cubeb was frequently used in the form of cigarettes for asthma, chronicpharyngitis and hay fever. Edgar Rice Burroughs, being fond of smoking cubeb cigarettes, humorously stated that if he had not smoked so many cubebs, there might never have been Tarzan. "Marshall's Prepared Cubeb Cigarettes" was a popular brand, with enough sales to still be made during World War II." anything about E. I. Clapp's. Thanks!